Winter is back! It feels like it was just a minute ago we were talking about the great Polar Vortex and here we are again dressing up in layers, trying to keep warm. The next few months of Winter, not only has us dressing up in warm clothes, but also making sure that we take care of our skin and keeping it moisturized and hydrated. Winter can bring lots of dryness to your skin if you don't keep it moisturized. Who wants that? Your skin needs extra protection during the winter. It's very important that you apply some type of skincare product on your skin two to three times a day to keep it moisturized. 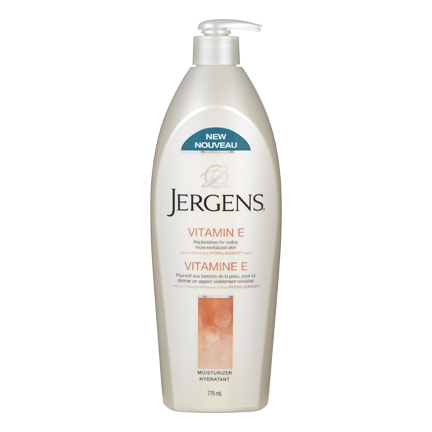 My favourite skincare product to use during the winter is Jergens Vitamin E Replenishing Moisturizer. I'm a huge fan of anything from Jergens. What I love most about the Vitamin E Replenishing Moisturizer is that it restores moisture in dry skin and keeps your skin smooth and soft. It's not only great at keeping your skin healthy during the winter months, but it's also affordable. One place I know where to go to get my favourite skincare is my local Shoppers Drug Mart. It's a one stop destination for a wide variety of winter skin care products and you can earn Optimum Points on selected skincare products. How awesome is that?! Did you know that you can go to your local Shoppers Drug Mart and their Beauty Experts are able to provide complimentary skin care consultations to help identify you skin type? Using the beautyRx tool to a Moisture Checker will measure you skin’s hydration level and a Video Microscope magnifies your skin's surface by 30 times to help diagnose your skin type. The Beauty Experts will then recommend a skin care product that works best for you. Be sure to visit your local Shoppers Drug Mart to check out all the different skin care products they have to offer and to also get your complimentary skin care consultation! Disclaimer: Although this post has been generously sponsored by Shoppers Drug Mart, the opinions and language are my own, and in no way do they reflect Shoppers Drug Mart.